Whether you need to add an extra plate to your new Royal Throne Loser Award or make sure it's up to date with last year's winner, the Additional Loser Royal Throne Plate Engraving creates a legacy of losers! Three lines of custom engraving are etched in gold on a black brass plate, measuring 1" high by 2" long. Even losers need annual recognition with these engraved plates on display inside the toilet seat! ***Note: This item is for an engraved plate only, which includes double stick tape for attaching on the inside lid of toilet seat. 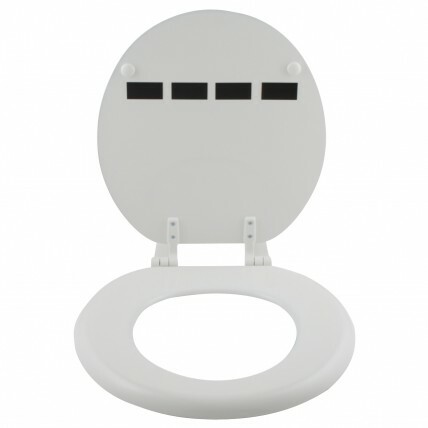 To order the toilet seat with outside engraving, please add product #21635 Royal Throne Fantasy Sports Loser Award to your cart.